The engine is a directly air-cooled eight-cylinder diesel engine with direct fuel injection, ‘V’ cylinder configuration (opening angle of 90°) with a displacement of 12.7 litres, turbocharged with a CAC (charged air cooler) situated directly above the engine. The engine is equipped with a mechanically controlled in-line injection pump. A roller bearing crankshaft bolted together from individual segments is among the unique technical solutions. 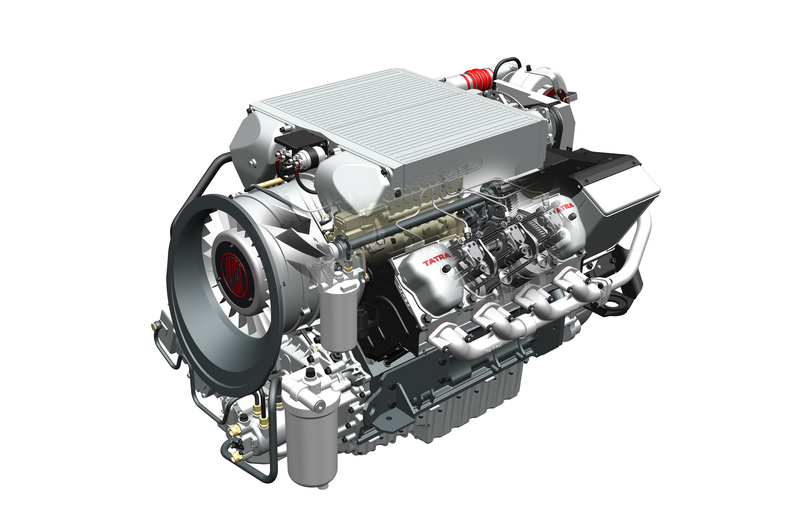 The engine is available in emission specifications Euro 2 (T3B-928 range), Euro 3 (T3C-928 range), Euro 4 and Euro 5 (T3D-928 range). To meet the strict pollution limits according to Euro 4 or 5, a selective catalytic reduction system (SCR) is used when an oxidizing agent known under the trade name AdBlue is injected into the exhaust manifold. 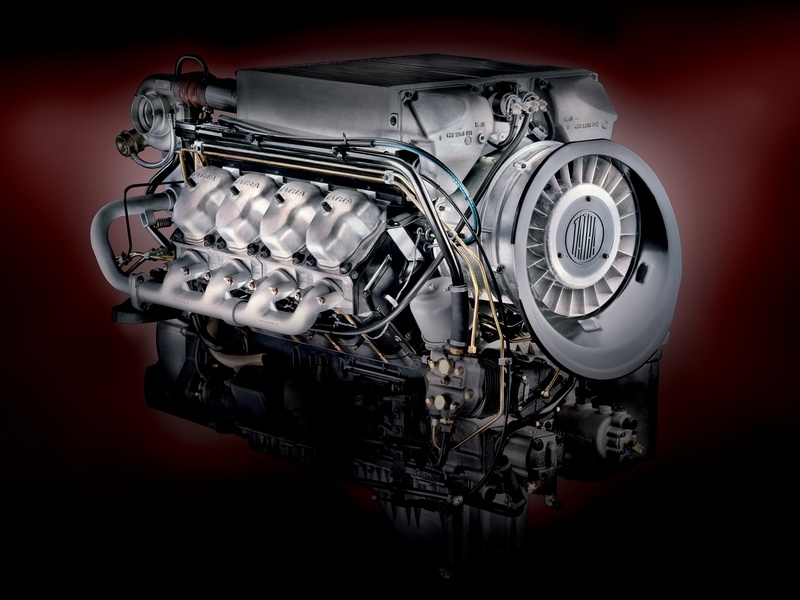 The output parameters of original directly air-cooled TATRA engines range from 230 kW to 325 kW, or 1,400 Nm to 2,100 Nm. use EGR or SCR technologies. As an alternative to its own air-cooled engine, TATRA TRUCKS a.s. offers, mainly in the FORCE and T 815-7 ranges, liquid-cooled engines from international manufacturers. One of these alternatives is Cummins engines in the ISL ranges (power output of up to 260 kW and 1,550 Nm) and the ISM ranges (power output of up to 325 kW and 2,100 Nm). These are six-cylinder in-line diesel engines with displacements of 8.85 litres or 10.8 litres with supercharging and a CAC. 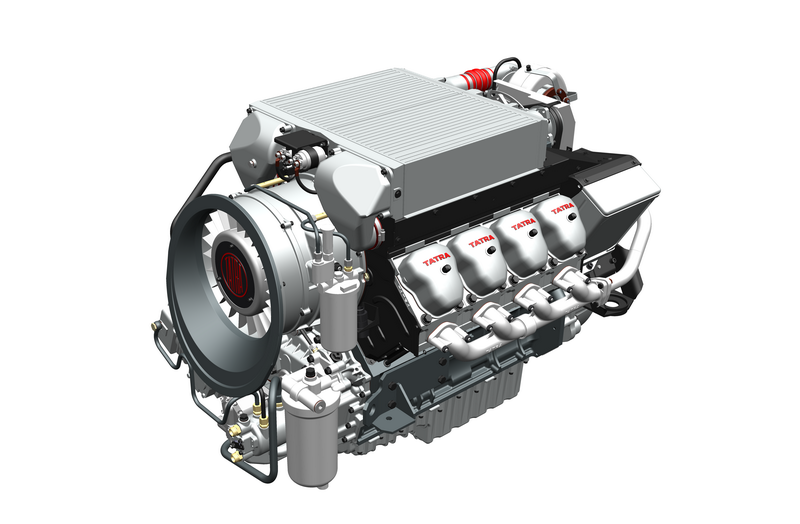 A higher-output alternative are Deutz engines, which are liquid-cooled eight-cylinder diesel engines with a ‘V’ cylinder configuration (opening angle of 90%), BF8M 1015 or 2015 type. The engines with a displacement of 16.5 litres, supercharging and a CAC differ in their injection systems. The 1015 type uses a mechanical injection pump, while the 2015 type is equipped with electronically controlled injector units. Their output parameters range from 340 kW to 440 kW and from 2,450 Nm to 2,750 Nm depending on adjustment.